Kids Aid Tanzania is funding the work of Lake Victoria Children, a community-based organisation addressing health, education, malnutrition and child protection problems amongst the 160,000 children on Ukerewe Island. See some of the children's stories below. Anastasia, aged 9, lives with her mother in this broken-down house which floods when it rains. She loves school but stopped going when her school uniform was full of holes. She was given a new school uniform by LVC and has now returned to school. 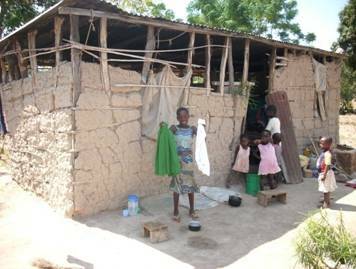 She is one of 87 children who have been helped with school uniforms, pens and exercise books in recent months. Florida, aged 3, was living with a violent grandmother (her father's mother) in Muriti village. One day, accusing the child of stealing fish from the cooking pot, she put Florida's arm in the fire and severely burnt it. When LVC heard about it they took her to hospital and one of LVC's staff donated blood for the operation she needed. The police were notified but declined to prosecute because of lack of evidence. Florida is now recovering well and living with her other grandmother. Kulwa, aged 9, was having increasing difficulty in seeing the blackboard at school. He was diagnosed as having cataracts in both his eyes and was going blind. 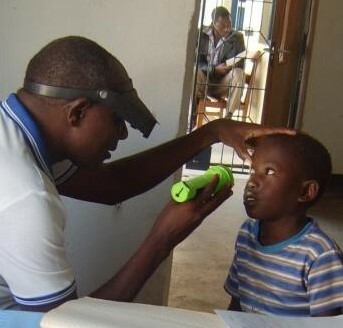 The nearest eye surgeon was in Moshi, 300 miles away. 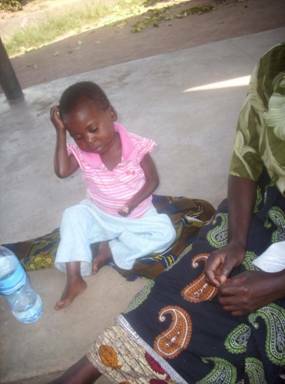 Kulwa's family could not afford to pay for the journey, let alone the hospital fees. LVC stepped in and paid for both. The operations were successful and Kulwa is now back at school proudly wearing his now spectacles. 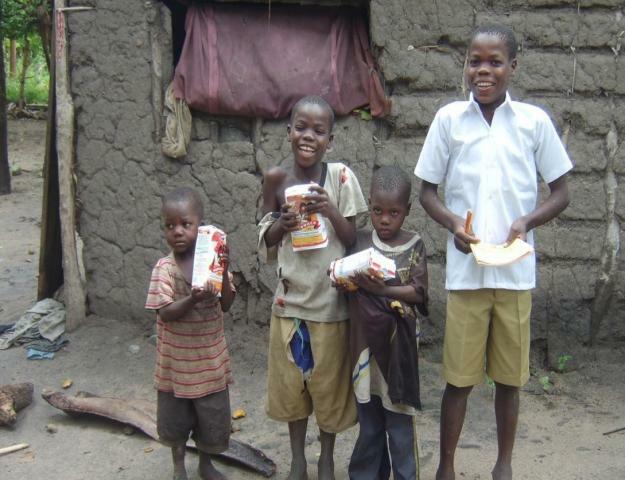 Emmanuel (right), aged 9, and his three brothers live in Bukindo village. Their father abandoned them two years ago and their mother often leaves home for weeks on end to find work. Emmanuel is then forced to leave school and try to look after his brothers. They often suffer from hunger and LVC helps them by providing nutritious flour to make porridge. Because of poverty many girls are not able to afford sanitary towels. When they have their periods many stay away from school and so lose up to 60 days of education a year. LVC has now embarked on a programme to make washable sanitary towels in their sewing workshop. 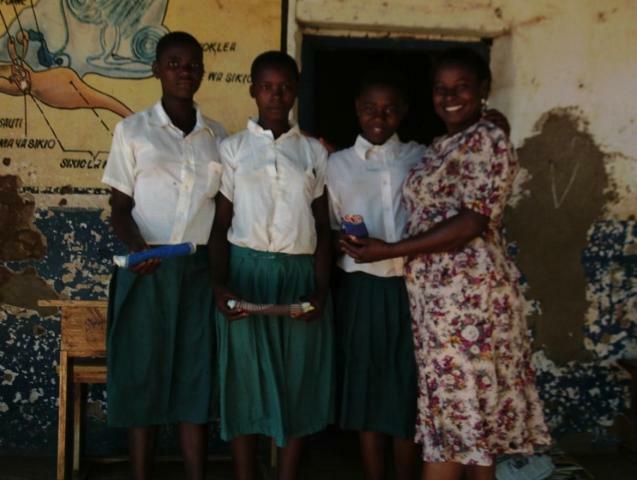 The first girls who received them are now attending school regularly.